COMMunity Beat | Postcard from Barbados (part 3)! 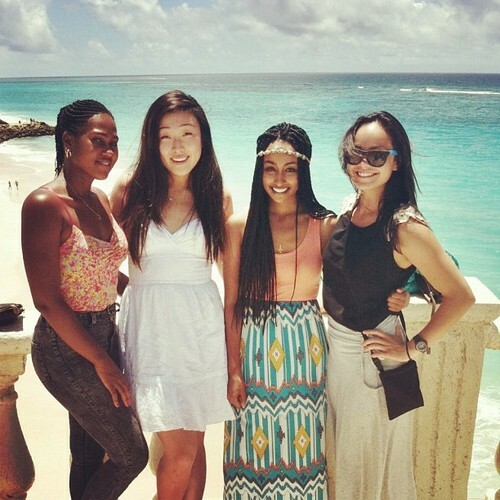 Postcard from Barbados (part 3)! My UWI interviewee, Tamara, celebrated her birthday this week! My roommate Riley, Peter, Elizabeth and I joined her for breakfast at the Crane Resort this morning to celebrate. We enjoyed a buffet meal by the water and even ran into Ralina, her family, and Andre! We walked around the resort, got lattes, and bonded with our new UWI friends! Crane beach is by far the most beautiful site I have seen thus far in Barbados.